Last weekend, we attended a lovely, low-key wedding. The wedding cake was decorated with a whimsical collection of brides and grooms. 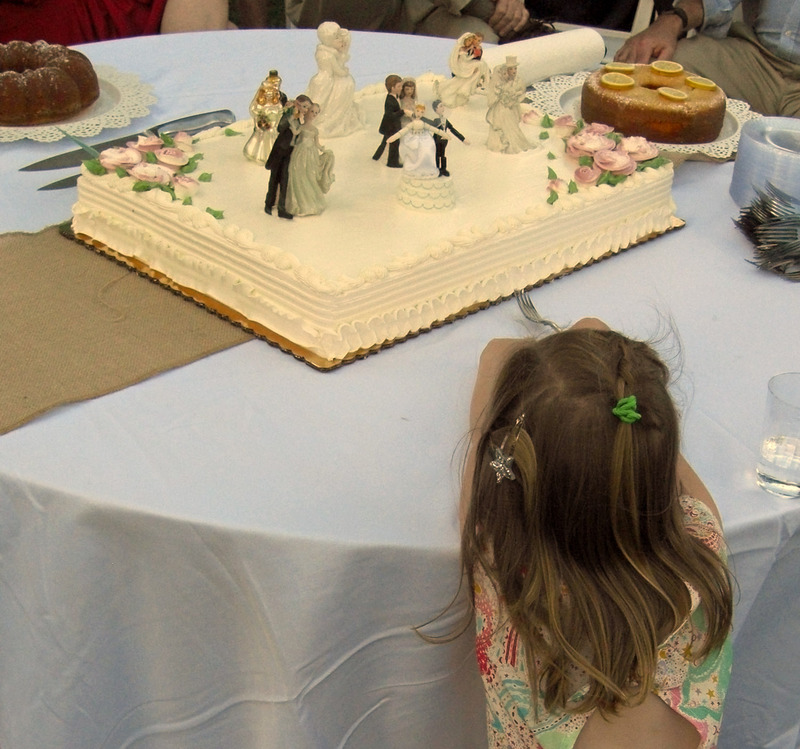 The youngest flower girl studied the pairs of just-marrieds posed on the cake, but the scent of the icing began to get to her. She picked up a plastic fork and twirled it in her little hands. She leaned over as far as she could. The fork slowly edged across the tablecloth. Finally, she could resist no longer. The tines of the fork scooped a bit of icing from the edge of the cake, just as her mother realized what was happening. It reminded me of the famous Marshmallow Test, given to young children to assess their level of self control. I'd say she did pretty well. Our flower girl soon had her own piece of cake.